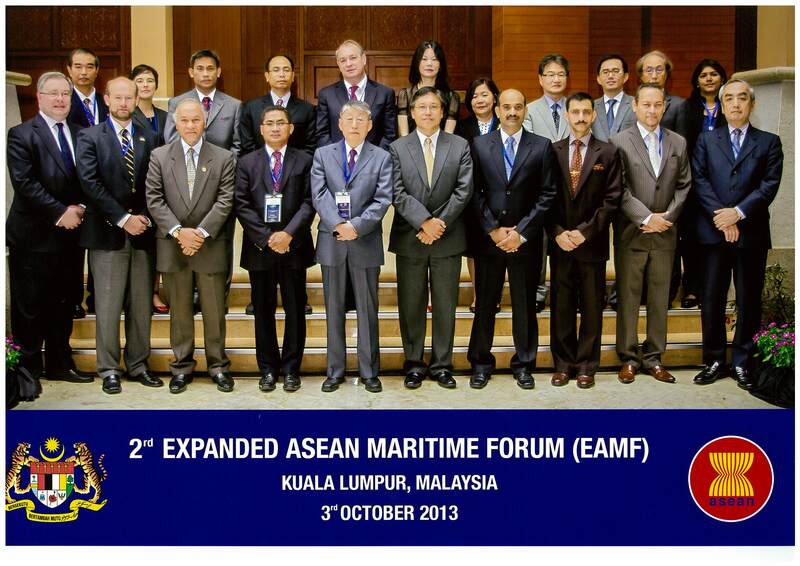 I was in Malaysia last week at the 2nd Expanded ASEAN Maritime Forum, and on Friday I reported on the outcomes of the Conference on Maritime Confidence Building Measures (MCBMs) in the South China Sea that ASPI hosted in Sydney in August this year. The Sydney Conference was attended by 62 participants from 16 different member countries of the East Asia Summit. The objective was to develop actionable proposals for prospective MCBMs for the South China Sea (SCS). As Gareth Evans’ speech last Wednesday  shows, the SCS is blessed with a complex set of issues that includes territorial disputes, resource competition and no consensus on what freedom of navigation means. The major challenge is to build a stable maritime regime that provides for good order at sea, eases tensions and reduces the risk of conflict. To assist in meeting this challenge, the conference developed a set of recommended measures that may contribute to regional policymaking. The conference acknowledged the good work done in the past, and continuing to be done by the Workshops on Managing Potential Conflict in the SCS coordinated by Indonesia. However, strategic circumstances have become harder to manage and more subject to friction in recent years. Our assessment is that demands for effective cooperative management regimes in the SCS will become more pressing in the future. Volumes of shipping traffic will continue to increase. There’ll be increased pressure on the resources of the SCS, living and non-living, as well as growing concern for the protection of the sea’s eco-systems and marine biodiversity. As Anthony Bergin has written here on The Strategist , a ‘chicken and egg’ situation has emerged in the SCS. What comes first—cooperation on MCBMs that engenders trust, or strategic trust that can be parlayed into practical measures? Some believe that arrangements for functional cooperation on issues such as resources management, marine scientific research and marine environmental protection are CBMs or trust-building measures. Others claim that this functional cooperation can’t proceed without strategic trust. It’s easy to identify and talk about MCBMs; it’s much harder to translate them into a plan for action. The national perspectives of the littoral countries and other stakeholders vary considerably. the conduct of law enforcement operations in the SCS in accordance with UNCLOS and other relevant international conventions. There were many other topics covered, including the role of the private sector (such as oil and gas companies and shipping lines), fisheries management and cooperation on constabulary tasks including the prevention of transnational maritime crime, search and rescue, and the mitigation of ship-sourced marine pollution. You can read more in the conclusions of the Sydney Conference, which we’ve made available online . Australia’s Chief of Navy, VADM Ray Griggs, made a thoughtful contribution. He made the point that ‘being transparent is one thing but it must also be accompanied by a disposition to share if any meaningful cooperation is to be viable’. I think that’s the central challenge we face in enhancing the MCBM agenda in our wider region. We have to move from the deeply culturally ingrained habits of handling information on the basis of ‘need to know’ and instead accept the importance of the ‘need to share’. If we can start that journey then we’ll be in a better position to build the trust necessary to underpin effective maritime stability and security. Peter Jennings is the executive director of the Australian Strategic Policy Institute. Image courtesy of the Department of Foreign Affairs and Trade.